Excitement was the order of the day as Canadian Professional Rodeo Association and Edmonton Northlands negotiators made it official. 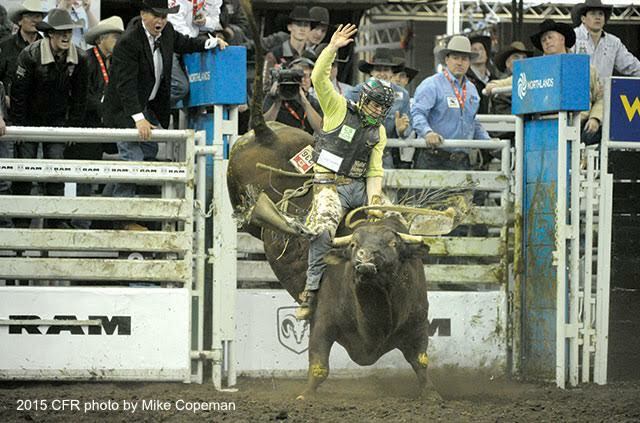 The Canadian Finals Rodeo will remain at its traditional home – Northlands Coliseum. As far as contract specifics, both organizations are still working to confirm details. “The money for the contestants is relatively close to what it is now. We’re staying with six performances and we’ll tie in 100% with Farm Fair. As far as dates, these will be announced in due course.” indicated Robson. A new component that both partners are excited about is an endeavour where a reasonable dollar figure will be set aside to give back to rodeo committees. “We value our member rodoes,” emphasized Robson. “We want them to know that. And we’d like to help them be viable on a long term basis. With just 21 days until the 2016 edition of the Canadian Finals Rodeo kicks off, today’s announcement was welcome news for competitors, committees, partners and fans. Tim Reid, CEO of Edmonton Northlands, echoed Robson’s optimism. Canadian Champion tie-down roper and CPRA board member Alwin Bouchard sees the announcement of the new agreement as a positive for future competitors. The Canadian Professional Rodeo Association (CPRA) with headquarters in Airdrie, Alta. is the sanctioning body for professional rodeo in Canada. The CPRA approves over 50 events annually with a total payout exceeding $5.1 million. Follow us on Twitter, Instagram and Snapchat at @prorodeocanada, like Canadian Professional Rodeo Association on Facebook, or online at RodeoCanada.com.